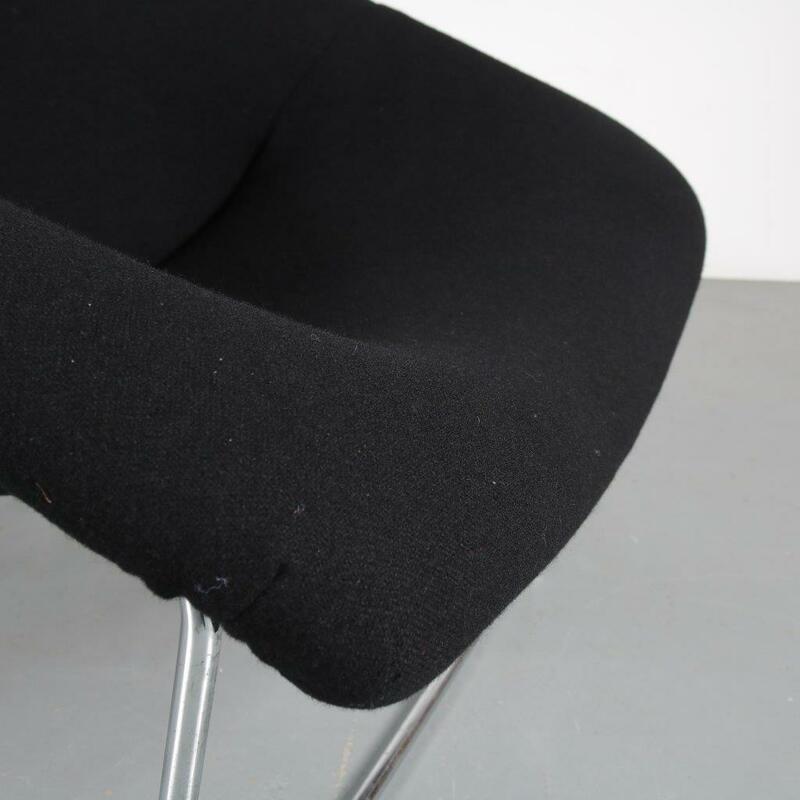 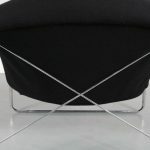 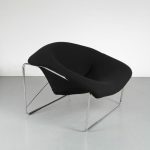 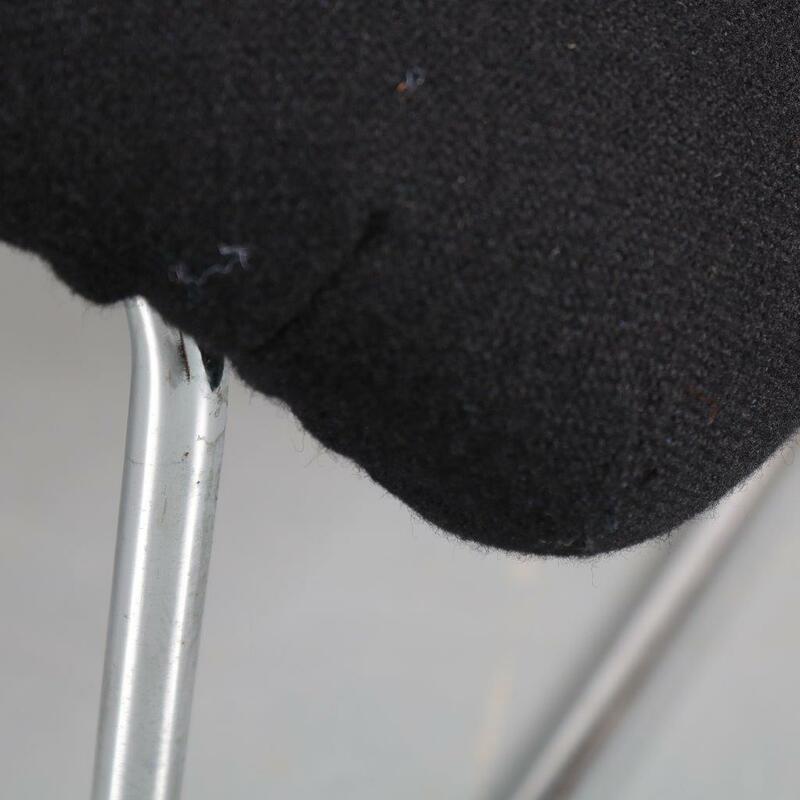 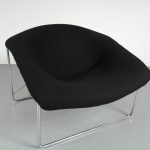 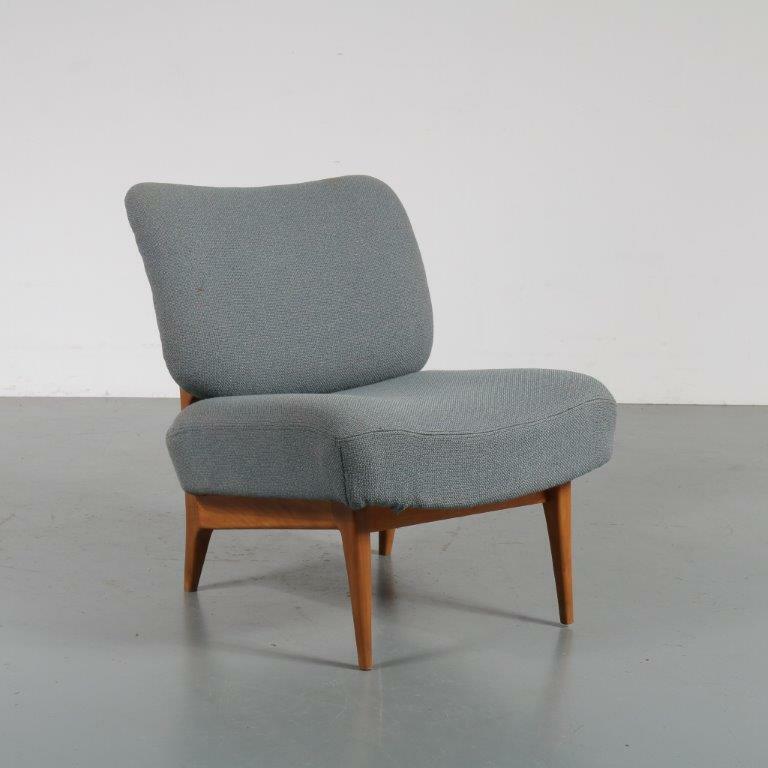 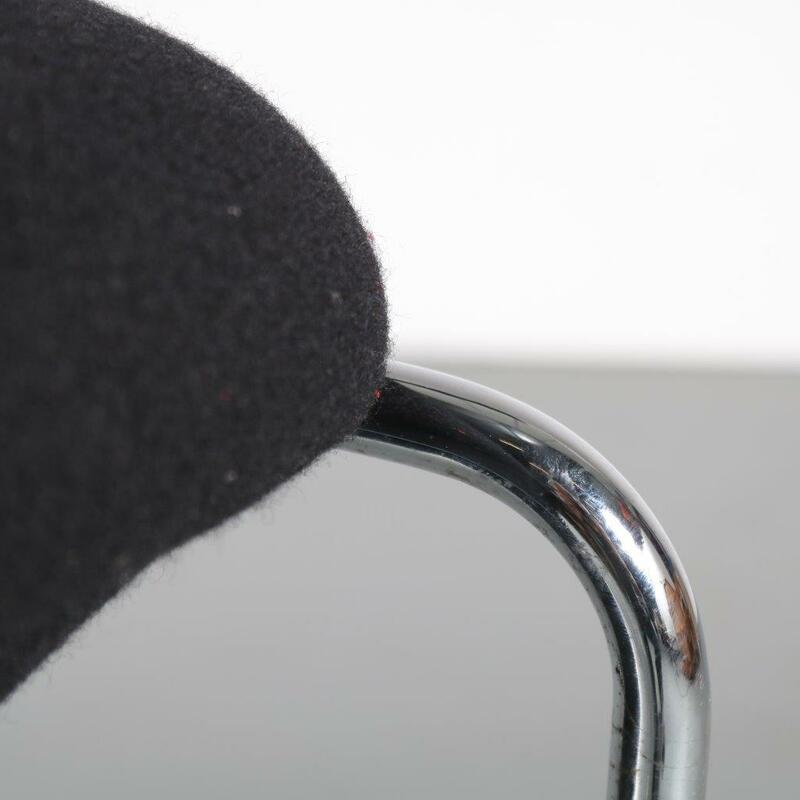 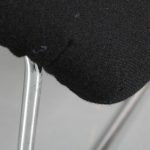 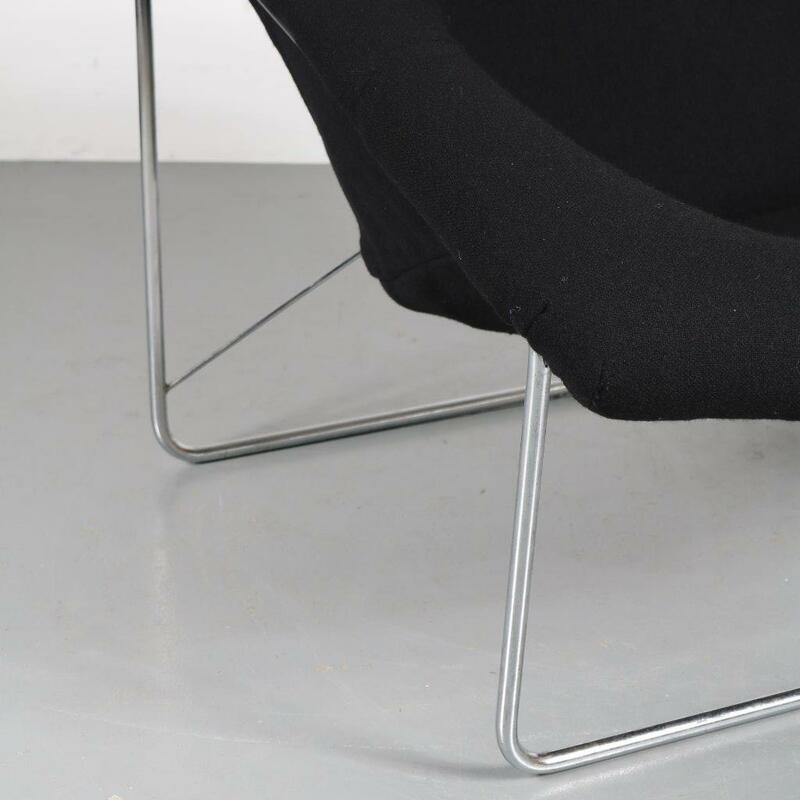 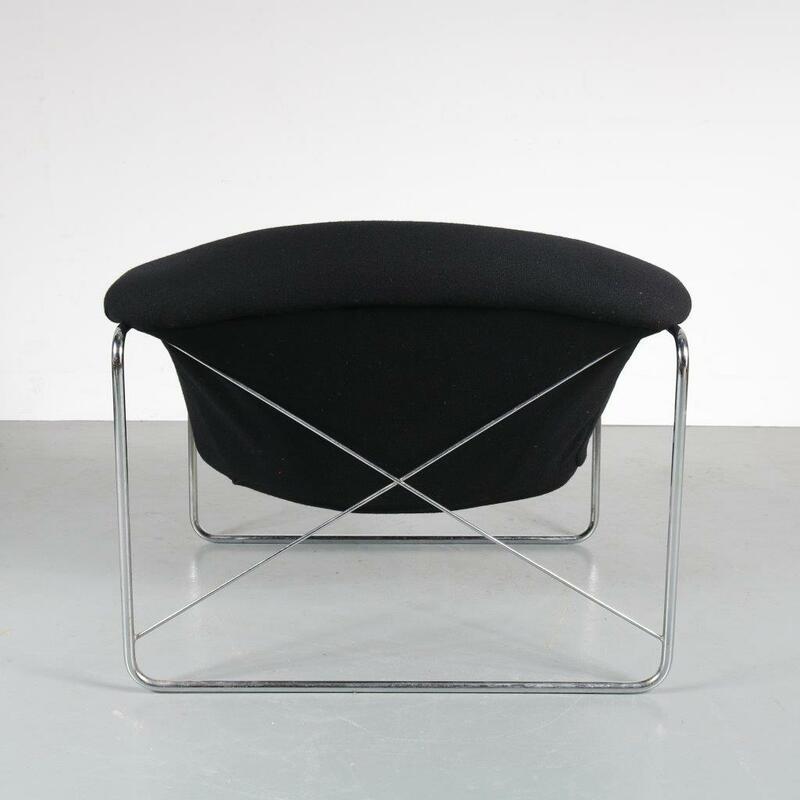 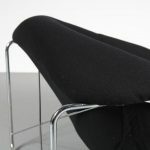 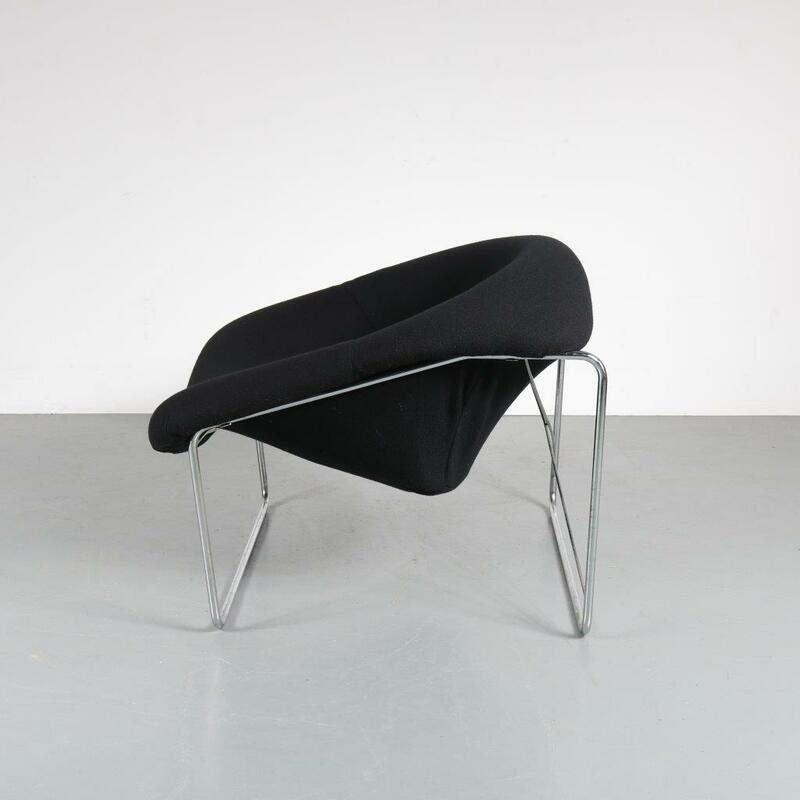 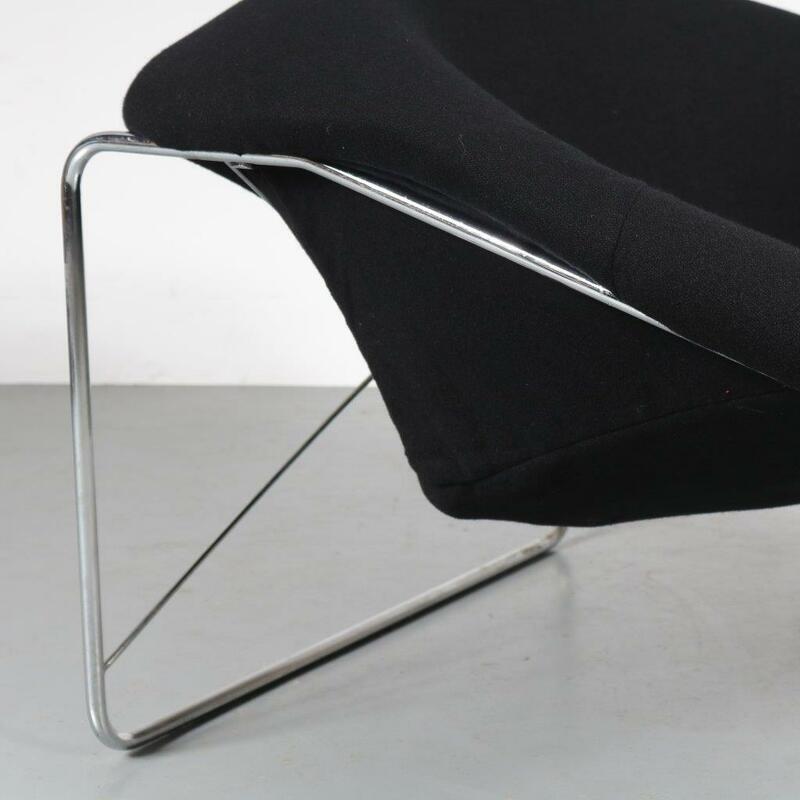 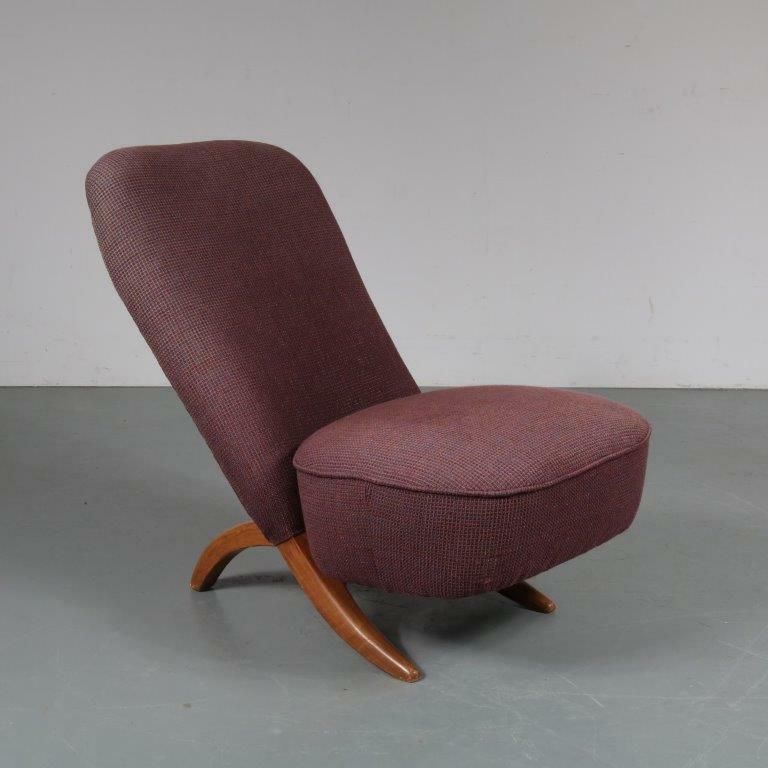 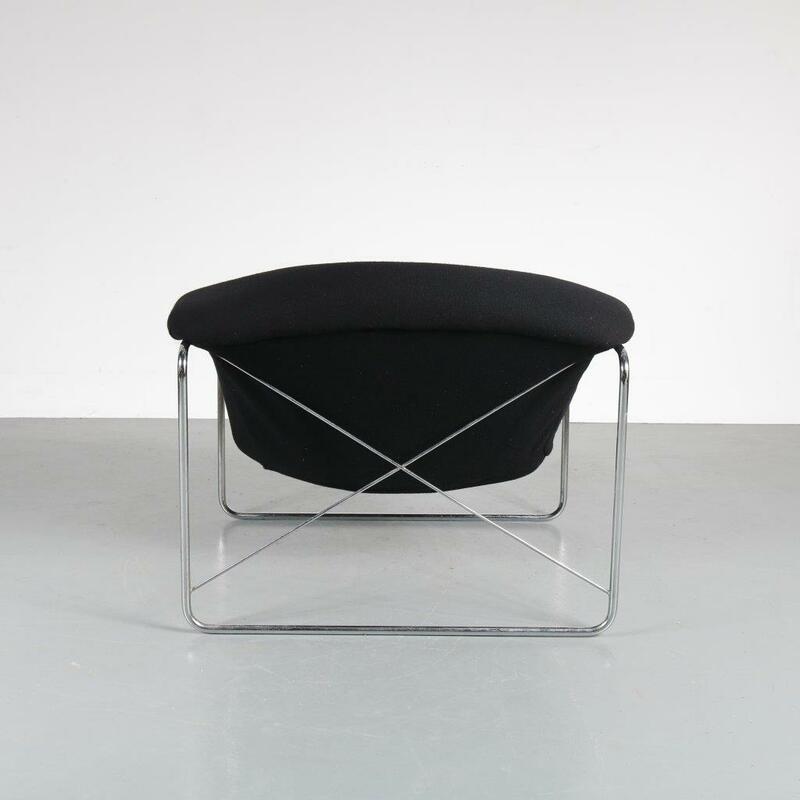 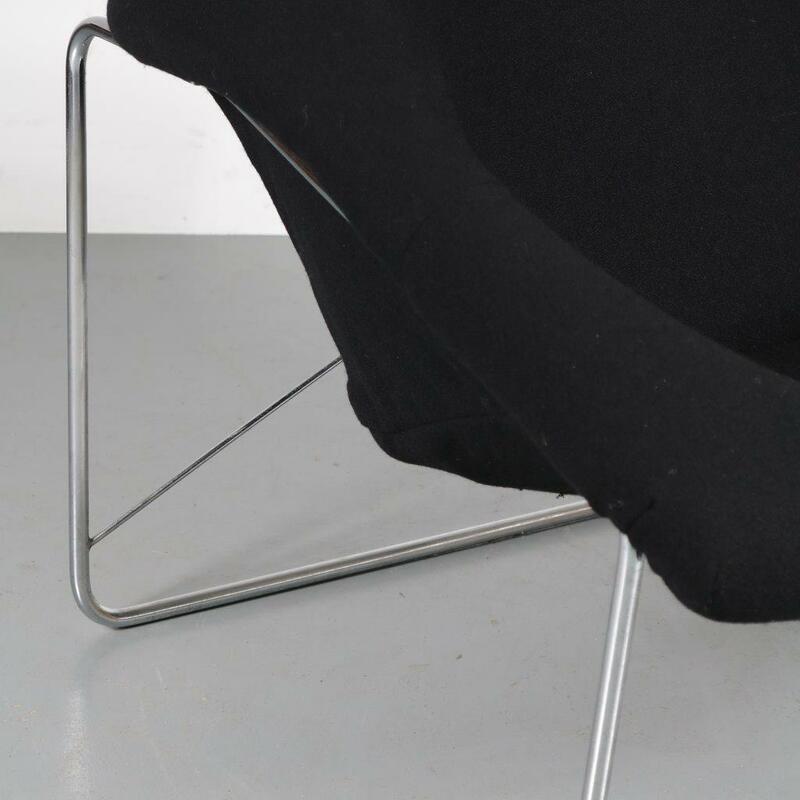 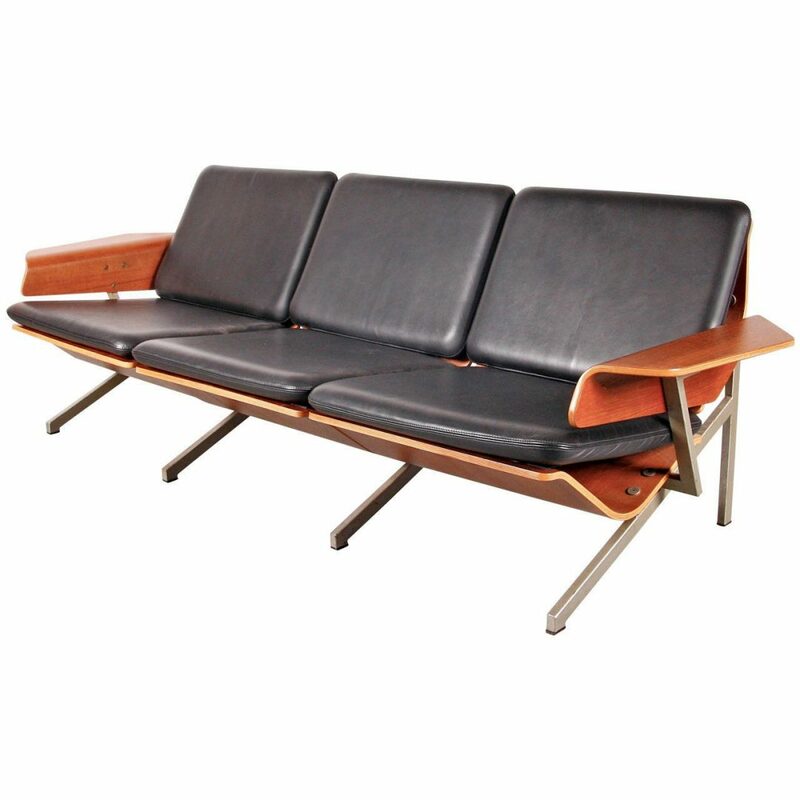 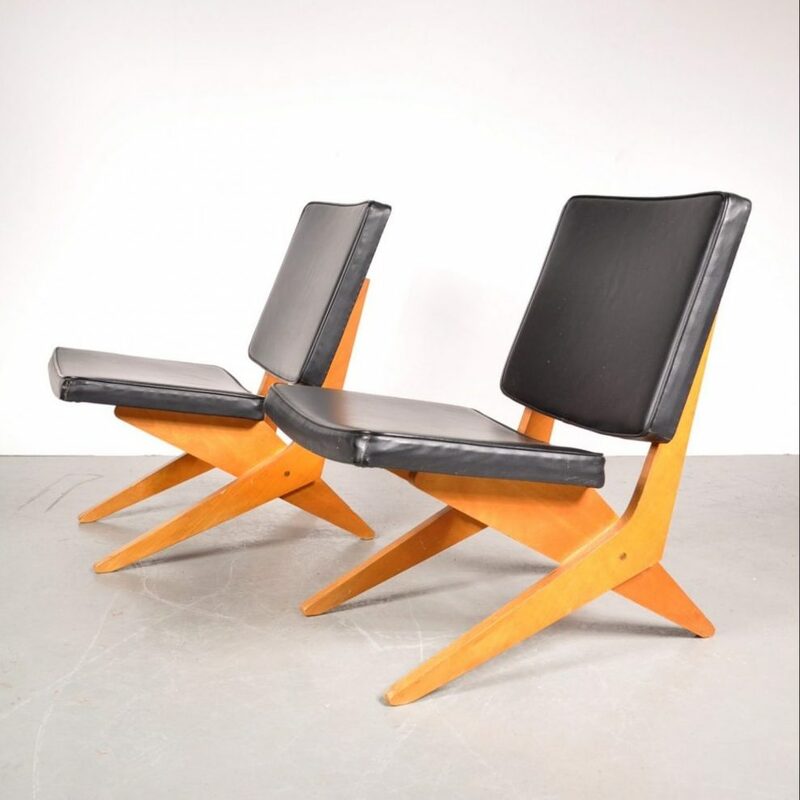 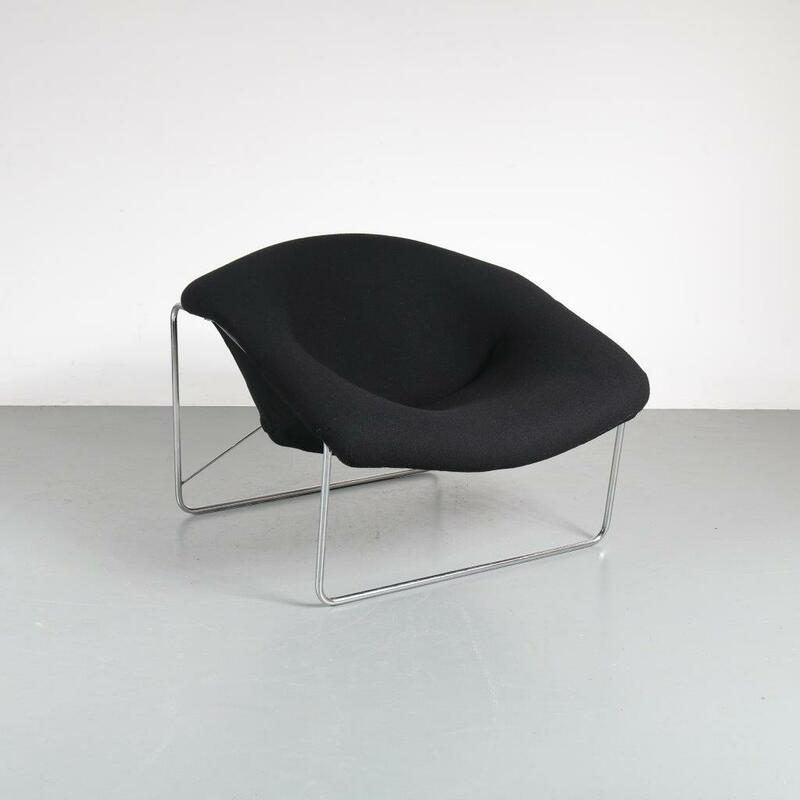 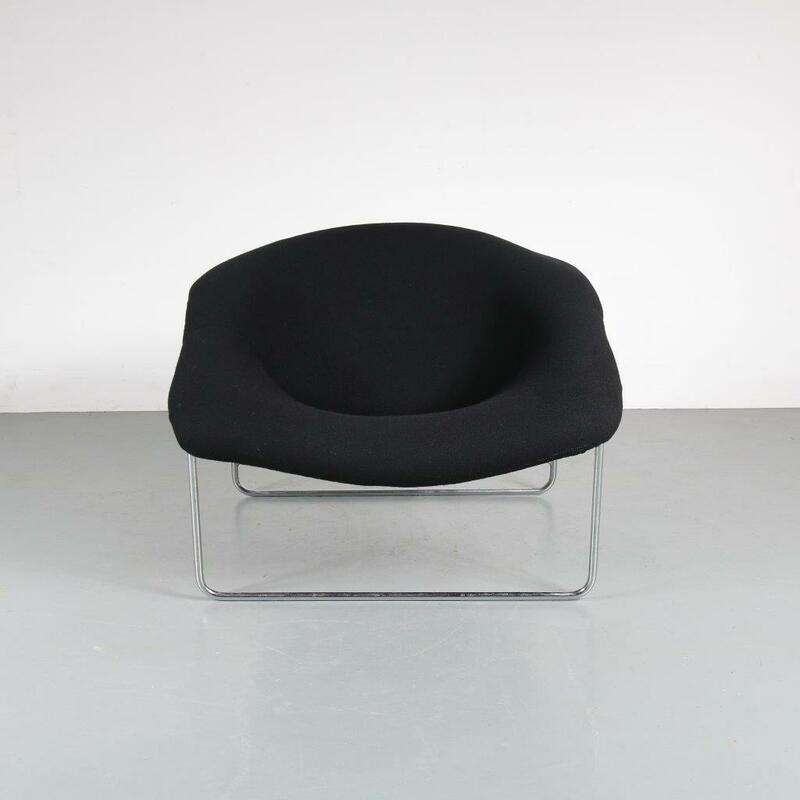 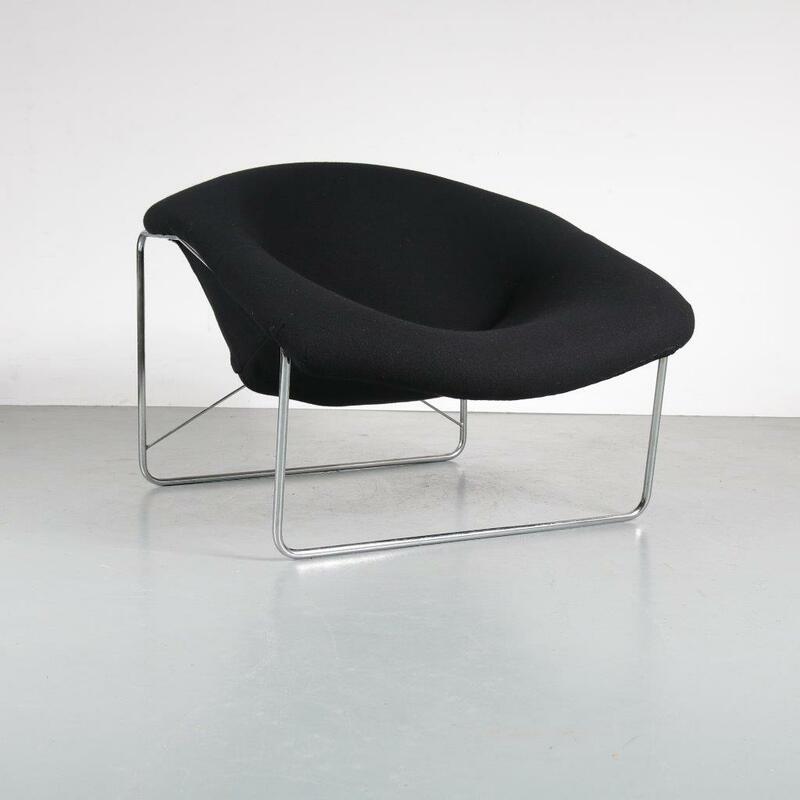 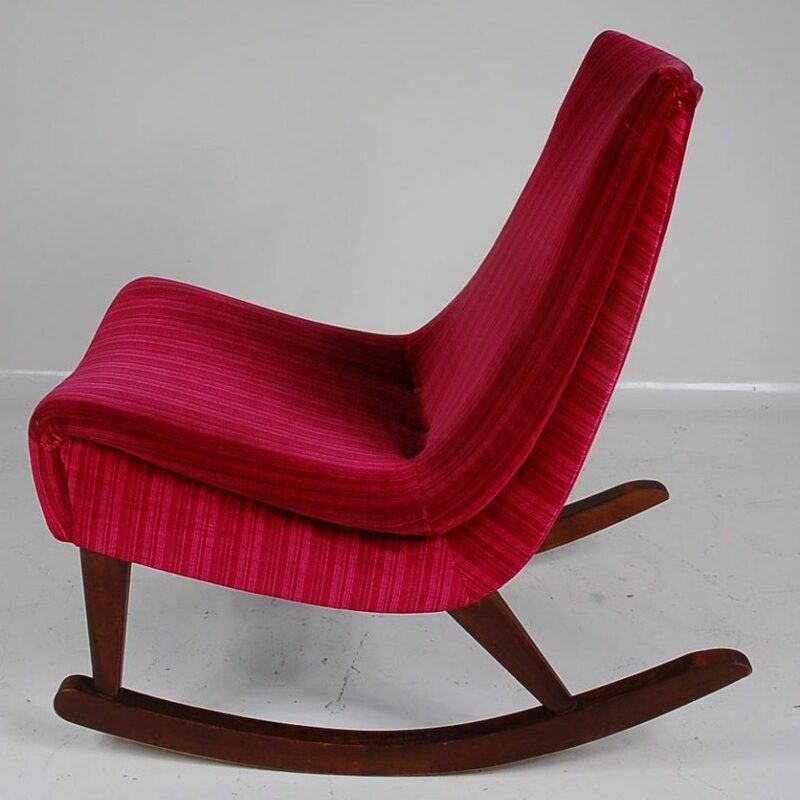 This rare French easy chair is made of high quality thin chrome plated metal, holding a seat upholstered in new black Kvadrat fabric upholstery. 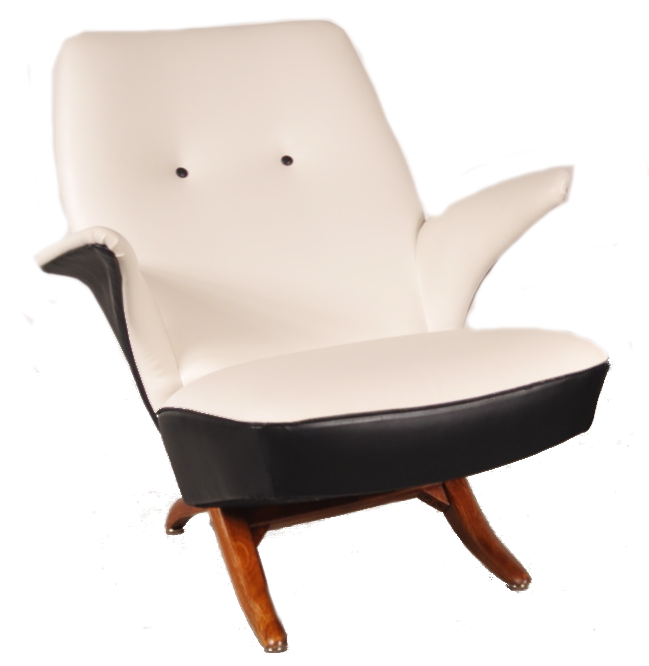 This combination of colours and materials creates a very nice contrast and adds a nice touch of luxury to the piece. 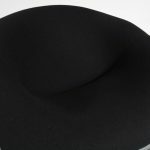 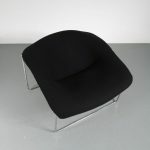 The deep seat creates an exceptional seating comfort. 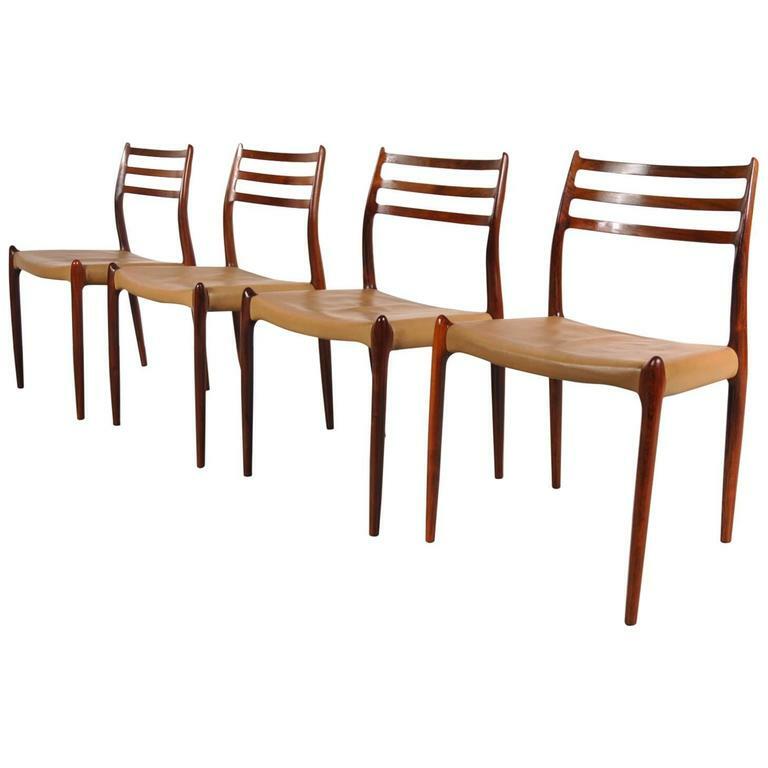 The structure of the base gives it a beautiful appearance from every angle, making the chair very suitable for placement anywhere in the decor. 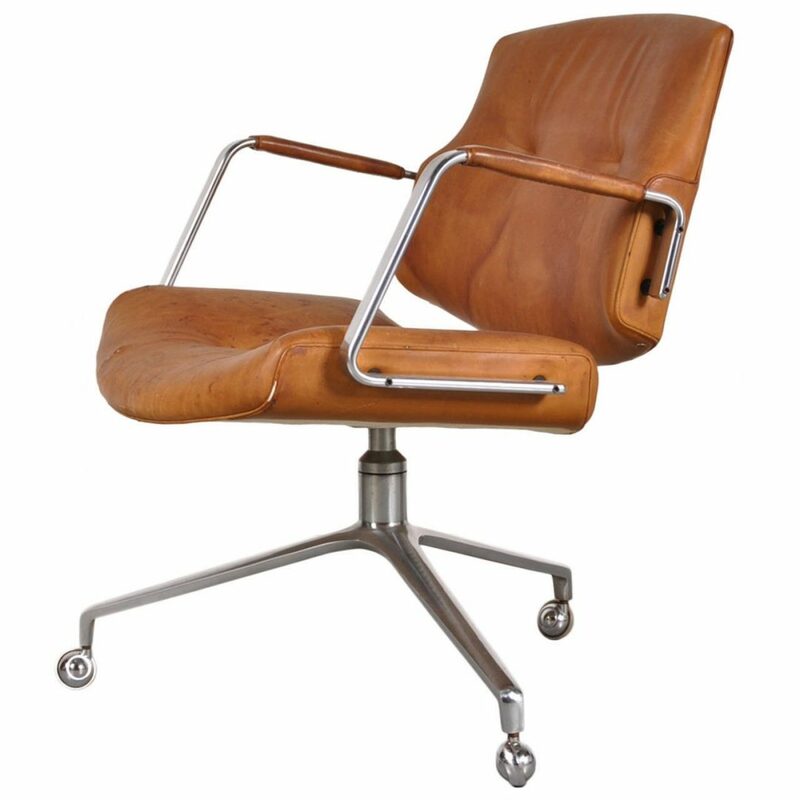 It remains in good condition with minor wear consistent with age and use, preserving a beautiful patina.